Which arguments should definitely not be used? Darwin’s quote about the absurdity of eye evolution from Origin of Species. The primary authority for Creation Ministries International is the infallible Word of God, the Bible (see Q&A Bible). All theories of science are fallible, and new data often overturn previously held theories. Evolutionists continually revise their theories because of new data, so it should not be surprising or distressing that some creationist scientific theories need to be revised too. The first article on this page sums up what we believe the creationists’ attitude should be about various ideas and theories. 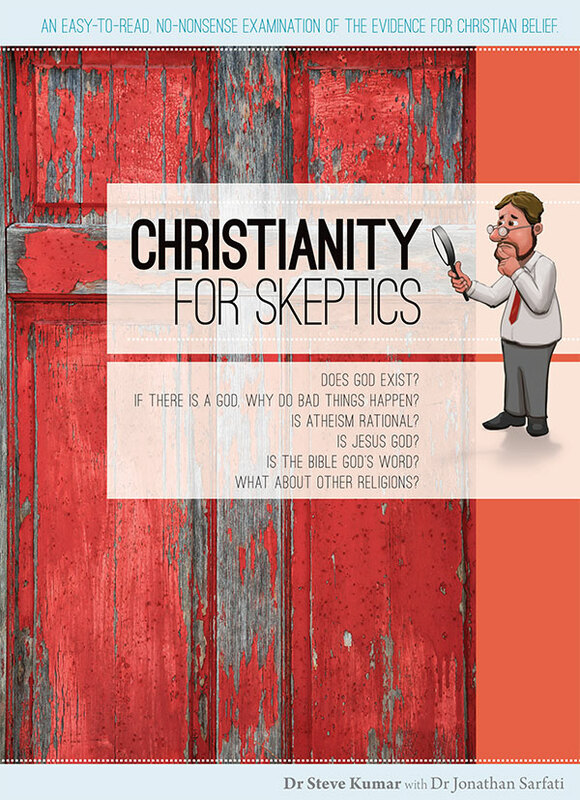 The other articles provide examples of arguments that we think should no longer be used; some arguments are definitely fallacious, while others are merely doubtful or unsubstantiated. We provide brief explanations why, and/or hyperlinks to other articles on this Web site with more detailed explanations. We don’t claim that this list is exhaustive—it will be updated with additions and maybe deletions as new evidence is discovered. Many of these arguments have never been promoted by CMI, and some have not been promoted by any major creationist organization (so they were not directed at anyone in particular), but are instead straw men set up by anti-creationists. It is notable that some skeptics criticise creationists when they retract doubtful arguments, but these are also the same people who accuse creationists of being unwilling to change their minds! Persisting in using discredited arguments simply rebounds—it’s the truth that sets us free (John 8:32), not error, and Christ is “the truth” (John 14:6)! Since there is so much good evidence for creation, there is no need to use any of the ‘doubtful’ arguments. This page also shows why it is important for people to stay up-to-date with sound creationist literature, since these publications (e.g. Creation magazine, and the Journal of Creation—formerly TJ) have already revealed the fallacious nature of some of these arguments. We also remind our readers that CMI is primarily pro-Bible, not anti-establishment for its own sake. In particular, we concentrate on the biblical teachings of creation by the Triune God, and that death is the result of sin. Our anti-evolution/millions of years stance is the corollary of this, not the end in itself. By extension, oppose the ‘establishment’ only where it conflicts with the Bible. So we urge Christians to ensure that their stance comes from being pro-Bible, not a knee-jerk anti-establishmentism. For CMI’s point-by-point response to an attempted critique of this page, see Maintaining Creationist Integrity. What is important for creationists to defend, and what should be held more loosely? “Darwin recanted on his deathbed”. Many people use this story, originally from a Lady Hope. However, it is almost certainly not true, and there is no corroboration from those who were closest to him, even from Darwin’s wife Emma, who never liked evolutionary ideas. Also, even if true, so what? If a prominent creationist recanted Creation, would that disprove it? There is no value to this argument whatever. “NASA computers, in calculating the positions of planets, found a missing day and 40 minutes, proving Joshua’s ‘long day’ and Hezekiah’s sundial movement of Joshua 10 and 2 Kings 20.” Not promoted by major creationist organizations, but an hoax in wide circulation, especially on the Internet. Essentially the same story, now widely circulated on the Internet, appeared in the somewhat unreliable 1936 book The Harmony of Science and Scripture by Harry Rimmer. Evidently an unknown person embellished it with modern organization names and modern calculating devices. Also, the whole story is mathematically impossible—it requires a fixed reference point before Joshua’s long day. In fact we would need to cross-check between both astronomical and historical records to detect any missing day. And to detect a missing 40 minutes requires that these reference points be known to within an accuracy of a few minutes. It is certainly true that the timing of solar eclipses observable from a certain location can be known precisely. But the ancient records did not record time that precisely, so the required cross-check is simply not possible. Anyway, the earliest historically recorded eclipse occurred in 1217 BC, nearly two centuries after Joshua. So there is no way the missing day could be detected by any computer. See also Has NASA Discovered a ‘Missing Day’? for historical and scientific documentation that this alleged discovery is mythological. Note that discrediting this myth doesn’t mean that the events of Joshua 10 didn’t happen. Features in the account support its reliability, e.g. the moon was also slowed down. This was not necessary to prolong the day, but this would be observed from Earth’s reference frame if God had accomplished this miracle by slowing Earth’s rotation. See Joshua’s long day—did it really happen? “NASA faked the moon landings.” This NASA hoax claim is an example of where CMI reminds readers that we are pro-Bible rather than anti-establishment for the sake of it. First, it is biblical to trust multiple eye-witnesses (cf. Deuteronomy 19:15), and one impeccable witness is the late James Irwin, who was a staunch biblical creationist and walked on the moon. Also, Australia must have been in on the alleged hoax; the huge 64-metre radio antenna at Parkes Observatory, New South Wales, was used to relay the signals from the moon, since it was the best telescope and it was on the Australian not the American side of Earth (cf. the Australian film The Dish, 2000). We can also shine powerful lasers to certain spots on the moon and detect reflected light of the laser frequency, possible only if someone had been to the moon and laid out retro-reflectors in those spots. Another problem, back in 1969, although there was appropriate rocket technology that could take us to the moon, the video technology was totally inadequate to fake this (see Moon Landings Faked? Filmmaker Says Not!, off-site). CLAIM: Photos should show parallel shadows with only one light source, the sun; non-parallel shadows prove it was a studio set with multiple lights. Actually, because of the irregular lunar topography, parallel shadows can look non-parallel in the perspective of the film. CLAIM: Astronaut in the shadow of the spacecraft was easily visible, which would not have been possible with only one light source. This forgets another source: moonlight! Reflected light from the lunar surface would make the astronaut easily visible. Also, Earthlight is much brighter on the moon than moonlight is on earth, because Earth is much higher in both surface area and albedo. CLAIM: Photos had no stars, hence they were in a studio. No, a camera set for optimal performance in the bright light of the lunar surface would not be sensitive enough to show stars. CLAIM: Footprints would not have been left in sand without moisture to hold the sand in place. True on earth, where water tends to round out sand grains. The lunar grains were angular and held the shape. CLAIM: The flag fluttered, so there must have been a breeze. No, the astronaut twisted the flagpole to plant it in the moon soil; this caused fluttering, which persisted for a while since there was no air resistance. CLAIM: Moon walks were done in studio set. But the closest we come to such movements is in an airplane falling so fast that it simulates lunar gravity, 1/6 that of Earth. “The earth is flat.” The Bible doesn’t teach this, Isaiah in particular denies it, the Church never taught this, it’s scientifically absurd on numerous grounds, and the leading flat-earther is an evolutionist! See also this 15-minute video. “Woolly mammoths were snap frozen during the Flood catastrophe.” This is contradicted by the geological setting in which mammoths are found. It’s most likely that they perished toward the end of the Ice Age, possibly in catastrophic dust storms. Partially digested stomach contents are not proof of a snap freeze, because the elephant’s stomach functions as a holding area—a mastodon with preserved plant material in its intestine was found in mid-western USA, where the ground was not frozen. See also The extinction of the woolly mammoth: was it a quick freeze? “The Castenedolo and Calaveras human remains in ‘old’ strata invalidate the geologic column.” These are not sound examples—the Castenedolo skeletal material shows evidence of being an intrusive burial, i.e. a recent burial into older strata, since all the fossils apart from the human ones had time to be impregnated with salt. The Calaveras skull was probably a hoax planted into a mine by miners. For the current CMI view on human fossil stratigraphy, see Where are all the human fossils? “Dubois renounced Java man as a “missing link” and claimed it was just a giant gibbon.” Evolutionary anthropology textbooks claimed this, and creationists followed suit. However, this actually misunderstood Dubois, as Stephen Jay Gould has shown. It’s true that Dubois claimed that Java man (which he called Pithecanthropus erectus) had the proportions of a gibbon. But Dubois had an eccentric view of evolution (universally discounted today) that demanded a precise correlation between brain size and body weight. Dubois’ claim about Java man actually contradicted the reconstructed evidence of its likely body mass. But it was necessary for Dubois’ idiosyncratic proposal that the alleged transitional sequence leading to man fit into a mathematical series. So Dubois’ gibbon claim was designed to reinforce its ‘missing link‘ status. See Who was ‘Java man’? “The Japanese trawler Zuiyo Maru caught a dead plesiosaur near New Zealand.” This carcass was almost certainly a rotting basking shark, since their gills and jaws rot rapidly and fall off, leaving the typical small ‘neck’ with the head. This has been shown by similar specimens washed up on beaches. Also, detailed anatomical and biochemical studies of the Zuiyo-maru carcass show that it could not have been a plesiosaur. See Live plesiosaurs: weighing the evidence and Letting rotting sharks lie: Further evidence that the Zuiyo-maru carcass was a basking shark, not a plesiosaur. See also A ‘tail’ of many monsters and Parkie: a new ‘pseudoplesiosaur’ washed up on the Nova Scotia coast. “The 2nd Law of Thermodynamics began at the Fall.” This law says that the entropy (‘disorder’) of the Universe increases over time, and some have thought that this was the result of the Curse. However, disorder isn’t always harmful. An obvious example is digestion, breaking down large complex food molecules into their simple building blocks. Another is friction, which turns ordered mechanical energy into disordered heat—otherwise Adam and Eve would have slipped as they walked with God in Eden! A less obvious example to laymen might be the sun heating the Earth—to a physical chemist, heat transfer from a hot object to a cold one is the classic case of the Second Law in action. Also, breathing is based on another classic Second Law process, gas moving from a high pressure to low pressure. Finally, all beneficial processes in the world, including the development from embryo to adult, increase the overall disorder of the universe, showing that the Second Law is not inherently a curse. Death and suffering of nephesh animals before sin are contrary to the Biblical framework above, as are suffering (or ‘groaning in travail’ (Rom. 8:20–22)). It is more likely that God withdrew some of His sustaining power (Col. 1:15–17) at the Fall so that the decay effect of the Second Law was no longer countered. However, the main point against this statement is that many evolutionists believe that a small group of creatures split off from the main group and became reproductively isolated from the main large population, and that most change happened in the small group which can lead to allopatric speciation (a geographically isolated population forming a new species). So there’s nothing in evolutionary theory that requires the main group to become extinct. So what’s the difference between the creationist explanation of people groups (‘races’) and the evolutionist explanation of people origins? Answer: the former involves separation of already-existing information and loss of information through mutations; the latter requires the generation of tens of millions of ‘letters’ of new information. “Women have one more rib than men.” We have long pointed out the fallacy of this statement, which seems to be more popular with dishonest skeptics wanting to caricature creation. The removal of a rib would not affect the genetic instructions passed on to the offspring, any more than a man who loses a finger will have sons with nine fingers. Any skeptic who tries to discredit the Bible with this argument must be a closet Lamarckian, i.e. one who believes Lamarck’s thoroughly discredited idea of inheritance of acquired characteristics! Note also that Adam wouldn’t have had a permanent defect, because the rib is the one bone that can regrow if the surrounding membrane (periosteum) is left intact. See Regenerating ribs: Adam and that ‘missing’ rib. 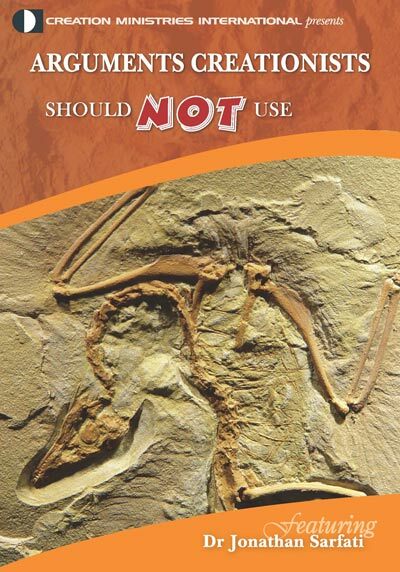 “Archaeopteryx is a fraud.” Archaeopteryx was genuine (unlike Archaeoraptor, a ‘Piltdown bird’), as shown by anatomical studies and close analysis of the fossil slab. It was a true bird, not a ‘missing link’. “There are no beneficial mutations.” This is not true, since some changes do confer an advantage in some situations. Rather, we should say, ‘We have yet to find a mutation that increases genetic information in ways needed for microbes-to-man evolution to be feasible. Even in those rare instances where the mutation confers an advantage they almost always cause loss of information.’ For examples of information loss being advantageous, see Beetle Bloopers: defects can be an advantage sometimes, New eyes for blind cave fish? and Is antibiotic resistance really due to increase in information? “No new species have been produced.” This is not true—new species have been observed to form. In fact, rapid speciation is an important part of the creation model. But this speciation is within the ‘kind’, and involves no new genetic information—see Q&A: Speciation. Fixity of species was actually taught by Darwin’s anti-biblical mentor Charles Lyell. “Earth’s axis was vertical before the Flood.” There is no basis for this claim. Seasons are mentioned in Genesis 1:14 before the Flood, which strongly suggests an axial tilt from the beginning. Some creationists believe that a change in axial tilt (but not from the vertical) started Noah’s Flood. But a lot more evidence is needed and this idea should be regarded as speculative for now. Furthermore, computer modelling suggests that an upright axis would make temperature differences between the poles and equator far more extreme than now, while the current tilt of 23.5° is ideal. The Moon has an important function in stabilizing this tilt, and the Moon’s large relative size and the fact that its orbital plane is close to the Earth’s (unlike most moons in our solar system) are design features. “Paluxy tracks prove that humans and dinosaurs co-existed.” Some prominent creationist promoters of these tracks have long since withdrawn their support. Some of the allegedly human tracks may be artefacts of erosion of dinosaur tracks obscuring the claw marks. There is a need for properly documented research on the tracks before we would use them to argue the coexistence of humans and dinosaurs. Research to date has not been promising about the tracks, however—see Human and dinosaur fossil footprints in the Upper Cretaceous of North America? But this does not mean that there isn’t good evidence that dinosaurs and humans co-existed—see Q&A: Dinosaurs. Archaeologists have found skeletons (and footprints) of giant human beings. This claim has been circulated through the Internet for years, but in reality the images associated with it were manipulated in Photoshop. An article on the Snopes site, which fairly analyses urban legends and internet claims, explains the provenance of each of the most common photographs attached to these emails (snopes.com/photos/odd/giantman.asp). In reality, greatly scaled up humans would be anatomically impossible for simple mathematical reasons—the square-cube law means that a human scaled up four times would have a skeleton and muscles 16 (4²) times stronger, but these would have to cope with a mass 64 (4³) times greater. So a greatly scaled up human would collapse under his own weight without many physiological and skeletal (thus genetic) changes to cope with the added mass. See the classic 1928 essay “On Being the Right Size” (irl.cs.ucla.edu/papers/right-size.html) by J.B.S. Haldane (a prominent evolutionist, but on this matter he here makes very good points). There have also been some claims of giant footprints, but see The ‘giant footprint’ of South Africa: Firewalking giant or fortuitous weathering? which shows the problems with this particular identification. Also, some take remains of giants as proof of the Bible’s account of the Nephilim in Genesis 6:4, but this word should not be translated “giants” but “fallen ones”—see Who were the “sons of God” in Genesis 6? Darwin’s quote about the absurdity of eye evolution from Origin of Species. Citing his statement at face value is subtly out of context. Darwin was talking about its seeming absurdity but then said that after all it was quite easy to imagine that the eye could be built step-by-step (in his opinion, with which we obviously disagree—see Darwin v The Eye and An eye for creation). “Earth’s division in the days of Peleg (Gen. 10:25) refers to catastrophic splitting of the continents.” Commentators both before and after Lyell and Darwin (including Calvin, Keil and Delitzsch, and Leupold) are almost unanimous that this passage refers to linguistic division at Babel and subsequent territorial division. We should always interpret Scripture with Scripture, and there’s nothing else in Scripture to indicate that this referred to continental division. But only eight verses on (note that chapter and verse divisions were not inspired), the Bible states, ‘Now the whole earth had one language and one speech’ (Gen. 11:1), and as a result of their disobedience, ‘the LORD confused the language of all the earth’ (Gen. 11:9). This conclusively proves that the ‘Earth’ that was divided was the same Earth that spoke only one language, i.e. ‘Earth’ refers in this context to the people of the Earth, not Planet Earth. Another major problem is the scientific consequences of such splitting—another global flood! This gives us the clue as to when the continents did move apart—during Noah’s Flood—see below on plate tectonics. For more information, see ‘In Peleg’s days, days the earth was divided’: What does this mean? “The Septuagint records the correct Genesis chronology.” This is not so. The Septuagint chronologies are demonstrably inflated, and contain the (obvious) error that Methuselah lived 14 years after the Flood. The Masoretic Text (on which almost all English translations are based) preserves the correct chronology. See Williams, P., Some remarks preliminary to a Biblical chronology, J. Creation 12(1):98–106, 1998; Sarfati, J., The Genesis Account: A theological, historical, and scientific commentary on Genesis 1–11, pp. 458–462, 2015; Cosner, L. and Carter, R., Textual traditions and biblical chronology, J. Creation 29(2):99–105, 2015. “There are gaps in the genealogies of Genesis 5 and 11 so the Earth may be 10,000 years old or even more.” This is not so. The language is clear that they are strict chronologies, especially because they give the age of the father at the birth of the next name in line. So the Earth is only about 6,000 years old. See Biblical chronogenealogies for exegetical proof. “Jesus cannot have inherited genetic material from Mary, otherwise He would have inherited original sin.” This is not stated in Scripture and even contradicts important points. The language of the NT indicates physical descent, which must be true for Jesus to have fulfilled the prophecies that He would be a descendant of Abraham, Jacob, Judah and David. Also, the Protevangelium of Gen. 3:15, regarded as Messianic by both early Christians and the Jewish Targums, refers to ‘the seed of the woman’. This is supported by Gal. 4:4, ‘God sent forth His Son, coming (genomenon) from a woman.’ Most importantly, for Jesus to have died for our sins, Jesus, the ‘last Adam’ (1 Cor. 15:45), had to share in our humanity (Heb. 2:14), so must have been our relative via common descent from the first Adam as Luke 3:38 says. In fact, seven centuries before His Incarnation, the Prophet Isaiah spoke of Him as literally the ‘Kinsman-Redeemer’, i.e. one who is related by blood to those he redeems (Isaiah 59:20, uses the same Hebrew word goel as used to describe Boaz in relation to Naomi in Ruth 2:20, 3:1–4:17). To answer the concern about original sin, the Holy Spirit overshadowed Mary (Luke 1:35), preventing any sin nature being transmitted. See also The Virginal Conception of Christ for a defence of this foundational doctrine and further discussion of these Biblical passages. ‘Light was created in transit.’ Some older creationist works, as a solution to the distant starlight problem, proposed that God may have created the light in transit. But CMI long ago pointed out the problems with this idea. It would entail that we would be seeing light from heavenly bodies that don’t really exist; and even light that seems to indicate precise sequences of events predictable by the laws of physics, but which never actually happened. This, in effect, suggests that God is a deceiver. For example, when a large star explodes as a supernova, we see a neutrino burst before we see the electromagnetic radiation. This is because most neutrinos pass through solid matter as if it were not there, while light is slowed down. This sequence of events carries information recording an apparently real event. So astronomers are perfectly justified in interpreting this ‘message’ as a real supernova that exploded according to the laws of physics, with observations as predicted by those same laws. This is very different from creating Adam as fully grown, looking like a 20-year-old (although incredibly youthful looking), say, although he was really only a few minutes old. Here, there is no deception, because God has told us that He created Adam from the dust, not by growing from an infant. But God has also told us that the stars are real, and that they are signs (Genesis 1:14), not just apparitions from light waves. In answering the distant starlight question, first point out that big bangers have their own problem with light travel time; second, point to relativistic time dilation, as first proposed by Dr Russell Humphreys, and extended by Dr John Hartnett with Carmelian Cosmological Relativity. See the Creation Answers Book, Chapter 5: How can we see stars in a young universe?, as well as Dr Hartnett’s new book Starlight, Time and the New Physics. “The phrase ‘science falsely so called’ in 1 Timothy 6:20 (KJV) refers to evolution.” The important thing here is the meaning of original Greek word translated ‘science’, which is gnosis, and in this context refers to the élite esoteric ‘knowledge’ that was the key to the mystery religions, which later developed into the heresy of Gnosticism. This was not an error by the KJV translators, but an illustration of how many words have changed their meanings over time. The word ‘science’ originally meant ‘knowledge’, from the Latin scientia, from scio meaning ‘know’. This original meaning is just not the way it is used today, so modern translations correctly render the word as ‘knowledge’ in this passage. Of course we believe that evolution is anti-knowledge because it clouds the minds of many to the abundant evidence of God’s action in Creation and the true knowledge available in His Word, the Bible. But as this page points out, it is wrong to use fallacious arguments to support a true viewpoint. On a related matter, it is linguistically fallacious to claim that even now, ‘science really means knowledge’, because meaning is determined by usage, not derivation (etymology). “Geocentrism (in the classical sense of taking the Earth as an absolute reference frame) is taught by Scripture and Heliocentrism is anti-Scriptural.” We reject this dogmatic geocentrism, and believes that the Biblical passages about sunset etc. should be understood as taking the Earth as a reference frame, but that this is one of many physically valid reference frames; the centre of mass of the solar system is also a valid reference frame. See also Why the Universe does not revolve around the Earth: Refuting absolute geocentrism. “Ron Wyatt has found Noah’s Ark” This claimed Ark shape is a natural geological formation caused by a mud flow. “Ron Wyatt has found much archaeological proof of the Bible” There is not the slightest substantiation for Wyatt’s claims, just excuses to explain away why the evidence is missing. Many of Carl Baugh’s creation ‘evidences’. Sorry to say, we think that he’s well meaning but that he unfortunately uses a lot of material that is not sound scientifically. So we advise against relying on any ‘evidence’ he provides, unless supported by creationist organisations with reputations for Biblical and scientific rigour. Unfortunately, there are talented creationist speakers with reasonably orthodox understandings of Genesis who continue to promote some of the Wyatt and Baugh ‘evidences’ despite being approached on the matter. However, a new experiment was able to detect the ‘missing’ flavours, which seems to provide conclusive evidence for oscillation. This means that neutrinos must have a very tiny rest mass after all—experimental data must take precedence over theory. Therefore creationists should no longer invoke the missing neutrino problem to deny that fusion is the primary source of energy for the sun. So it cannot be used as a young-age indicator—nor an old-age indicator for that matter. See Newton, R., Missing neutrinos found! No longer an ‘age’ indicator, TJ 16(3):123–125, 2002. ‘Einstein held unswervingly, against enormous peer pressure, to belief in a Creator.’ However, in the normal meaning of these terms, Einstein believed no such thing. See also Physicists’ God-talk. Canopy theory. This is not a direct teaching of Scripture, so there is no place for dogmatism. Also, no suitable model has been developed that holds sufficient water. So all creationist geologists prefer a different model. For CMI’s current opinion, see Noah’s Flood—Where did the water come from?. What arguments are doubtful, hence inadvisable to use? “There are living dinosaurs and plesiosaurs today.” The Bible is silent on whether dinosaurs would still exist two millennia after the last book of Scripture was written. While creationists some time ago thought that some dinosaurs might still be alive in an obscure part of the globe, CMI now believes that enough years have passed, and photographs can now be taken with a smartphone, that dinosaurs have died out, and contrary claims require proof, not excuses. Similarly, plesiosaurs and other giant marine reptiles need to come up for air, so we should have seen them, just as we have seen giant marine mammals (whales). Thus CMI’s position is no longer “wait and see”; rather, it is time to say that dinosaurs are no longer alive today, unless proven otherwise. “There was no rain before the Flood.” This is not a direct teaching of Scripture, so again there should be no dogmatism. Genesis 2:5–6 at face value teaches only that there was no rain at the time Adam was created. But it doesn’t rule out rain at any later time before the Flood, as great pre-uniformitarian commentators such as John Calvin pointed out. A related fallacy is that the rainbow covenant of Genesis 9:12–17 proves that there were no rainbows before the Flood. As Calvin pointed out, God frequently invested existing things with new meanings, e.g. the bread and wine at the Lord’s Supper. “Natural selection as tautology.” Natural selection is in one sense a tautology (i.e., Who are the fittest? Those who survive/leave the most offspring. Who survive/leave the most offspring? The fittest.). But a lot of this is semantic word-play, and depends on how the matter is defined, and for what purpose the definition is raised. There are many areas of life in which circularity and truth go hand in hand (e.g. What is electric charge? That quality of matter on which an electric field acts. What is an electric field? A region in space that exerts a force on electric charge. But no one would deny that the theory of electricity is valid and can’t explain how motors work. )—it is only that circularity cannot be used as independent proof of something. To harp on the issue of tautology can become misleading, if the impression is given that something tautological therefore doesn’t happen. Of course the environment can ‘select’, just as human breeders select. Of course demonstrating this doesn’t mean that fish could turn into philosophers by this means—the real issue is the nature of the variation, the information problem. Arguments about tautology distract attention from the real weakness of neo-Darwinism—the source of the new information required. Given an appropriate source of variation (for example, an abundance of created genetic information with the capacity for Mendelian recombination), replicating populations of organisms would be expected to be capable of some adaptation to a given environment, and this has been demonstrated amply in practice. Natural selection is also a useful explanatory tool in creationist modelling of post-Flood radiation with speciation [see Q&A: Natural Selection]. This is also why we should reject well-meaning creationist efforts to abandon natural selection—see The fact of natural selection. “Evolution is just a theory.” What people usually mean when they say this is “Evolution is not proven fact, so it should not be promoted dogmatically.” Therefore people should say that. The problem with using the word ‘theory’ in this case is that scientists usually use it to mean a well-substantiated explanation of data. This includes well-known ones such as Einstein’s Theory of Relativity and Newton’s Theory of Gravity, and lesser-known ones such as the Debye–Hückel Theory of electrolyte solutions and the Deryagin–Landau/Verwey–Overbeek (DLVO) theory of the stability of lyophobic sols, etc. It would be better to say that particles-to-people evolution is an unsubstantiated hypothesis or conjecture. All the same, the critic doth protest too much. Webster’s Dictionary (1996) provides the #2 meaning as ‘a proposed explanation whose status is still conjectural, in contrast to well-established propositions that are regarded as reporting matters of actual fact,’ and this usage is hardly unknown in the scientific literature. The dictionary further provides ‘6. contemplation or speculation. 7. guess or conjecture.’ So the critic is simply wrong to say that it’s a mistake to use theory to mean ‘speculation’, ‘conjecture’ or ‘guess’; and that scientists never use theory this way in the literature. So the attack is really cheap point-scoring, but there is still no reason to give critics this diversion. See also Is ‘Evolution’ a ‘Theory’ or ‘Fact’ or Is this just a trivial game of semantics? (off site). “There is amazing modern scientific insight in the Bible.” To develop a Scriptural model properly, we must understand the original meaning of what the biblical author wrote to communicate to his intended audience, which in turn is determined by the grammar and historical context. Therefore we should be cautious in reading modern science into passages where the readers would not have seen it. This applies especially to poetic books like Job and Psalms. For example, Job’s readers would not have understood Job 38:31 to be teaching anything about gravitational potential energy of Orion and Pleiades. Rather, the original readers would have seen it as a poetic illustration of God’s might, i.e. that God, unlike Job, could create the Pleiades in a tightly-knit cluster which is what it looks like; while God created Orion as a well spread out constellation, again something well beyond Job’s ability. Similarly, Job 38:14 is not advanced scientific insight into the Earth’s rotation, because the earth is not being compared to the turning seal but to the clay turning from one shape into another under the seal. “Laminin: an amazing look at how Jesus is holding each of us together.” That one protein out of 100,000 is shaped like a cross in formalized diagrams (probably more like a sword with the side arms not at right angles) is not that surprising, just ‘by chance’. In any case, Jesus is sustaining our creation from God the Father’s right hand; He is no longer on the cross, so the theology is dubious too. Here is more information on laminin. “The speed of light has decreased over time” (c decay). Although most of the evolutionary counter-arguments have been proven to be fallacious, there are still a number of problems, many of which were raised by creationists, which we believe have not been satisfactorily answered. It’s also notable that the Portuguese physicist and cosmogonist João Magueijo recently proposed that c was 60 orders of magnitude faster just after the big bang. CMI currently believes that both Dr Russell Humphreys’ and Dr John Hartnett’s cosmologies (both involving relativistic time dilation) provide viable solutions for the distant starlight problem. It’s a healthy situation to have multiple working hypotheses at the moment because there are so many unknowns in astronomy and cosmology. However, neither we, Dr Humphreys nor Dr Hartnett claim that either of these models are infallible. See How can we see distant stars in a young Universe? from the The Creation Answers Book. “There are no transitional forms.” Since there are candidates, even though they are highly dubious, it’s better to avoid possible comebacks by saying instead: ‘While Darwin predicted that the fossil record would show numerous transitional fossils, even 150 years later, all we have are a handful of disputable examples.’ See also Q&A: Fossils. “Gold chains have been found in coal.” Several artefacts, including gold objects, have been documented as having been found within coal, but in each case the coal is no longer associated with the artefact. The evidence is therefore strictly anecdotal (e.g. ‘This object was left behind in the fireplace after a lump of coal was burned’). This does not have the same evidential value as having a specimen with the coal and the artefact still associated. “Plate tectonics is fallacious.” CMI believes that Dr John Baumgardner’s work on Catastrophic Plate Tectonics provides a good explanation of continental shifts and the Flood. See Q&A: Plate Tectonics. However, we recognise that some reputable creationist scientists disagree with plate tectonics. “Creationists believe in microevolution but not macroevolution.” These terms, which focus on ‘small’ v. ‘large’ changes, distract from the key issue of information. That is, particles-to-people evolution requires changes that increase genetic information (e.g., specifications for manufacturing nerves, muscle, bone, etc. ), but all we observe is sorting and, overwhelmingly, loss of information. We are hardpressed to find examples of even ‘micro’ increases in information, although such changes should be frequent if evolution were true. Conversely, we do observe quite ‘macro’ changes that involve no new information, e.g. when a control gene is switched on or off. Importantly, the term microevolution will be seen by many as just a ‘little bit’ of the process that they think turned bacteria to people. In other words, it implies that simply given enough time (millions of years), such ‘micro’ changes will accumulate to amount to ‘macro’ changes. But this is not so; see The evolution train’s a-comin’: (Sorry, a-goin’—in the wrong direction). Interestingly, even high profile evolutionists (e.g. Mayr, Ayala) disagree with the idea that the observed small changes in living things are sufficient to account for the grand scheme of microbes-to-mankind evolution. “The Gospel is in the stars.” This is an interesting idea, but quite speculative, and many Biblical creationists doubt that it is taught in Scripture, so we do not recommend using it.